Vitacost new members: $25 worth of food for $15 shipped! Vitacost is offering FREE Shipping with a $25 food purchase! PLUS you can get a $10 Vitacost Credit if you're a new customer! So $15 for $25 worth of food shipped!! WAHOO!! This is such a great deal! I love Vitacost! They have tons of organic and all-natural products! 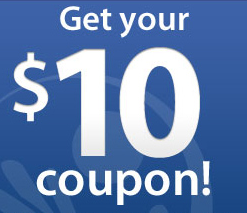 Once you sign up Vitacost will email you a $10 coupon code that you use at checkout! Note: This post contains my referral link, thanks for supporting this site! Read Disclosure policy here.